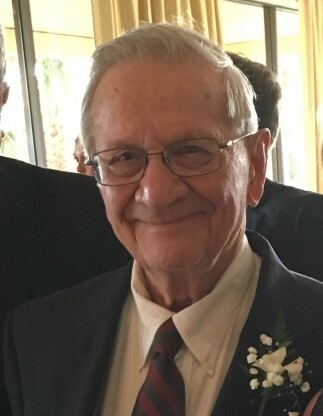 Quincy P. Carvel II, longtime resident and retired businessman died - August 24, 2018 - of pneumonia at the Hospice by The Sea in Boca Raton. Quincy with two partners started the air conditioning distributor Gemaire in 1971 after spending over 25 years in the A/C business in Miami and Boca Raton. By 1987 Gemaire was the biggest A/C Distributor in the United States. In that year the business was sold and has since gone on to be a billion-dollar company. After selling his business Quincy retired to enjoy life by boating, fishing, traveling and being a loving husband and an adored father and grandfather with a wide circle of friends. Quincy was born in 1926 in Pittsburgh, PA to Quincy P. Carvel I, an immigrant, and Sue Jane Pylo, the daughter of immigrants. 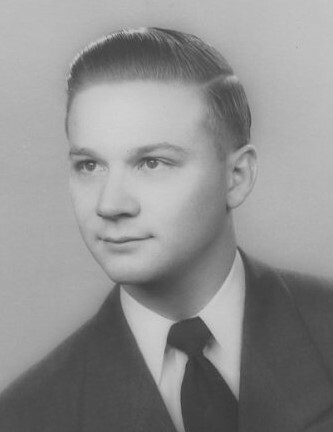 Quincy attended Central Catholic High School and graduated in 1943 when he was only 16. He was accepted at The Carnegie Institute of Technology and attended for two years before enlisting in the USAF in 1945. After basic training in the US he was shipped to Italy and served as an airplane and engine mechanic at Foggia Army Air Base. He was honorably discharged in 1947. After returning to the US, Quincy returned to his studies at Carnegie Tech. In 1948, he married the love of his life, Shirley. The two had been dating since they were both 14 years old. In 1949 Quincy graduated college and began his career. In 1955 the family which had grown to five members moved to North Miami Beach, and by 1962 the family numbered nine members. Quincy purchased Boca Heating and Air Conditioning in 1965, and in 1967 the family moved to Boca Raton. In 2013, his wife Shirley died after a brief illness. Quincy and his sense of humor will be fondly remembered by everyone, his seven children, their spouses, his ten grandchildren and his four great-grandchildren, his former employees, his children’s friends, his friends and all the other people whose life he touched and enriched.